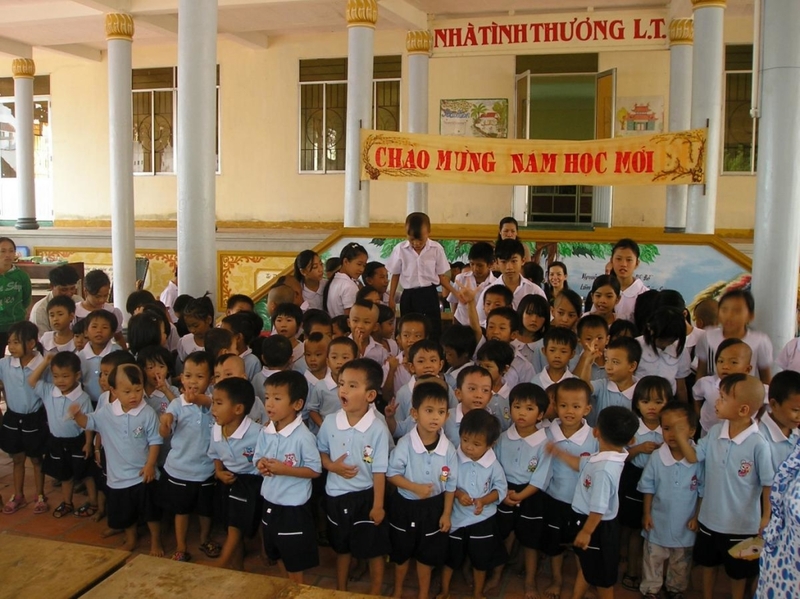 In September of 2009 we purchased 80 school uniforms for the children of the Loc Tho Charity School. 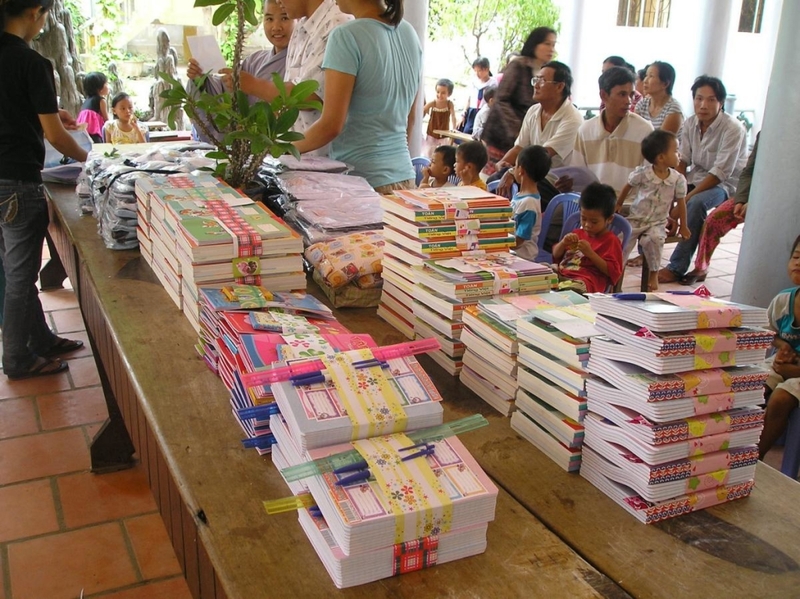 We also contributed schoolbooks for the first semester of lessons for all grades, one to five. Since the school’s inception the nuns at Loc Tho have provided free education for underprivileged children in the area. 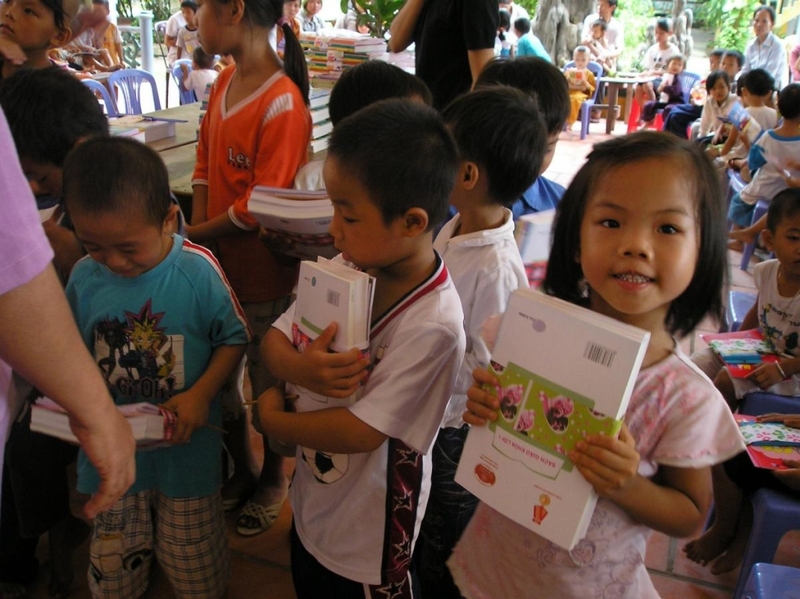 When children attend public schools in Vietnam, the parents must pay school fees as well as buy uniforms and books for the year, and the wonderful people at Loc Tho understand that these fees are often beyond the means of families in poorer communities. This is the first time the children of Loc Tho had their own school uniforms, to wear proudly every day when they go to class. It was a particularly special occasion for some of the older kids, who saw themselves in school uniforms for the first time in their lives. 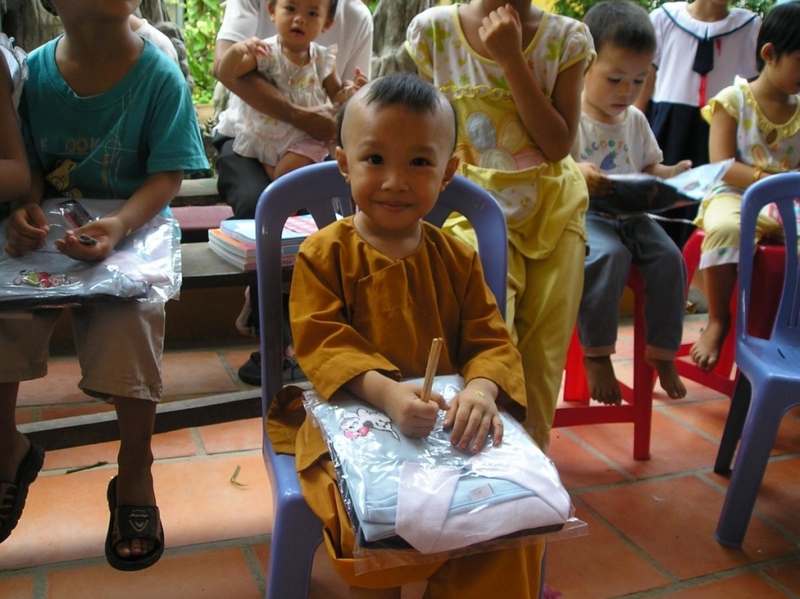 There was a wonderful ceremony at the school when each child received their uniform and books, and most were quick to change into them right away. Parents of many of the children also attended the ceremony. Also in attendance were Mr. Jacky Chantraine of the Belgian Cultural Center of Nha Trang, Ms. Lam of Lanterns Restaurant, and Mrs. Hiep of the Vietnamese American International Center. Jacky has been a regular contributor to the Loc Tho Charity School, and had previously donated schoolbooks and other necessities. He also volunteers at the school, teaching English. At the ceremony, Lam brought rice and cooking oil for the school’s kitchen, which provides free meals to the students every day. 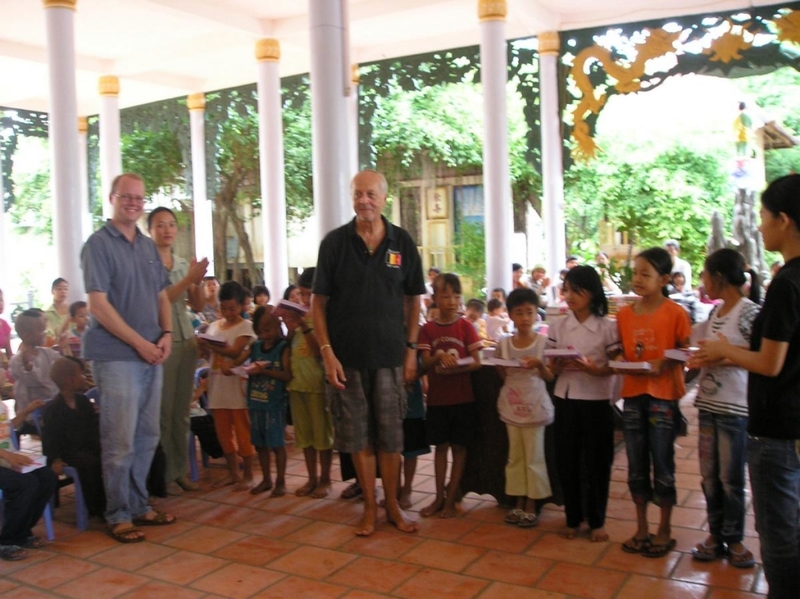 Lanterns Restaurant in Nha Trang has been actively involved in local charities, most notably with the Sunflower Children’s Center. Mrs. Hiep has long been Loc Tho’s greatest champion in fundraising, having introduced numerous foreign visitors to the school who later made generous contributions. 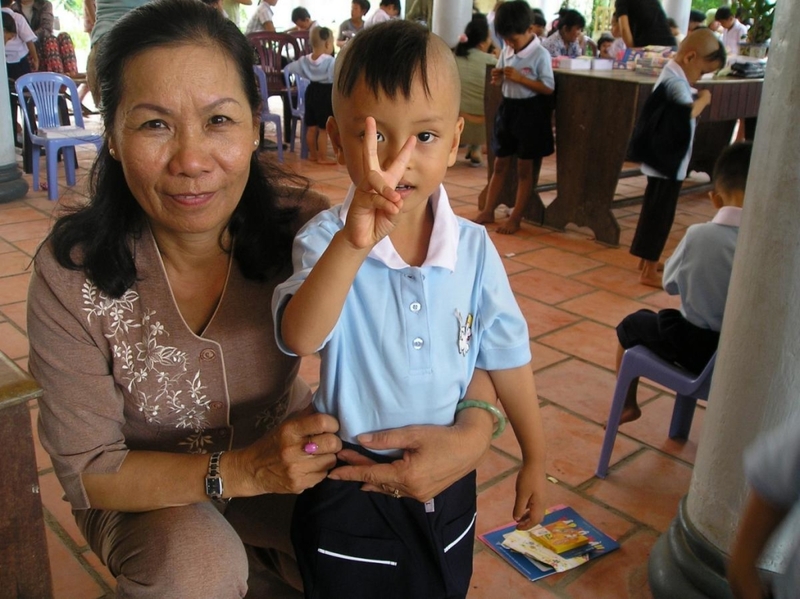 Mrs. Hiep and her husband oversaw the construction of the 3 new classrooms in 2009 funded by overseas donors. It was a wonderful day! We look forward to working more with the loving nuns and teachers at Loc Tho.